Bruce graduated from Glasgow University in 1996 and spent the next five years working in mixed practice in Suffolk. He then moved north to join the Willows Veterinary Group to start a new branch in Runcorn. Having built it up from scratch to a busy 2 man practice Bruce joined the Partnership of the group in 2010 and shortly after moved over to the Hospital in Hartford. Bruce enjoys working with a great team of vets, nurses and support staff alongside our specialist team. 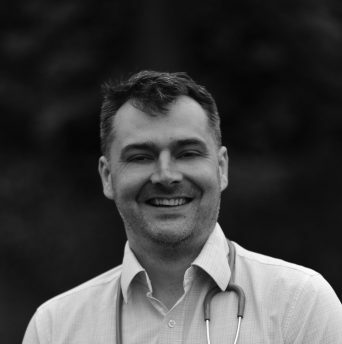 Bruce likes to think of himself as a bit of a generalist, liking the variety of general practice and the ability to do both medicine and surgery. As Bruce is married to an Equine Vet, he has quite a collection of pets at home including Lettie, a Tibetan terrier, Ceilidh, a rescue cocker spaniel and professional sock thief. Two cats called Seve and Yoshi, two guinea-pigs called Flossie and Bugsy and a shoal of goldfish all add to the collection. Not forgetting Dougal and Sparky – a Shetland pony and Irish Sports Horse.